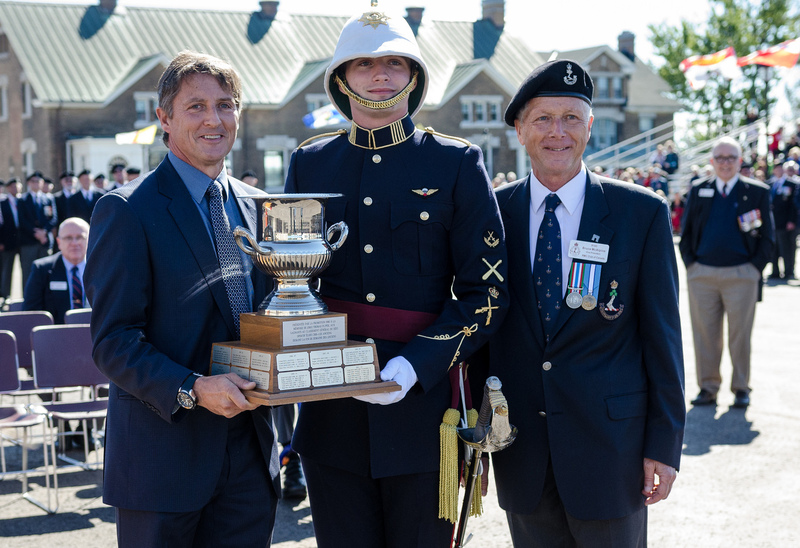 The Pijper Cup, which was donated by the Class of 1980 in memory of 12602 Thomas A Pijper, to the overall winner of the Ex-Cadet vs Cadet Red & White sports challenge. This year in four different competitions the Cadet Wing overwhelmed the ‘Old boys & girls’. New RMC Club president, 9143 Bruce McAlpine had the honours of making the announcement. He called upon the, Cadet Wing Commander 27304 OCdt Ryan Harding and 13621 John Forrington, Class of 1982, former captain of the 1982 hockey Redmen to join in the presentation. John has the distinction of scoring hat-tricks in both the 1981 and 1982 West Point hockey games. Not sure that there are many (likely none) former Redmen or Paladins that can match that feat! 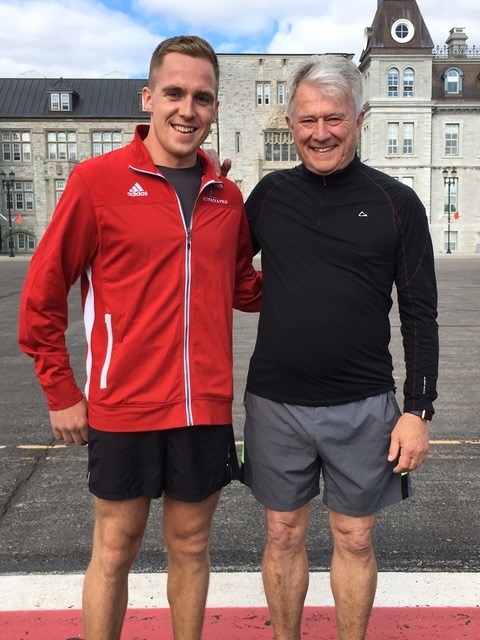 The seventh annual RMC run around Fort Henry on Ex-Cadet Weekend was a success, as 21 runners completed the near-five-km course on Saturday afternoon. The weather was perfect, and everyone was smiling as they returned to the parade square, with the ex-cadets pleased they could still do the infamous Fort Henry hill. 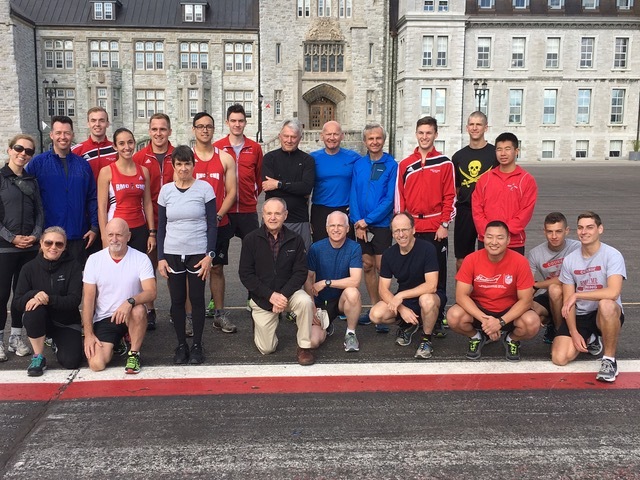 The group consisted of 10 ex-cadets plus one spouse plus the members of the two present-day RMC cross-country teams. The Ex-Cadet class of ’82 had the most runners out with four, while ’67,’77, ’97, ‘05 and ’07 were also represented. 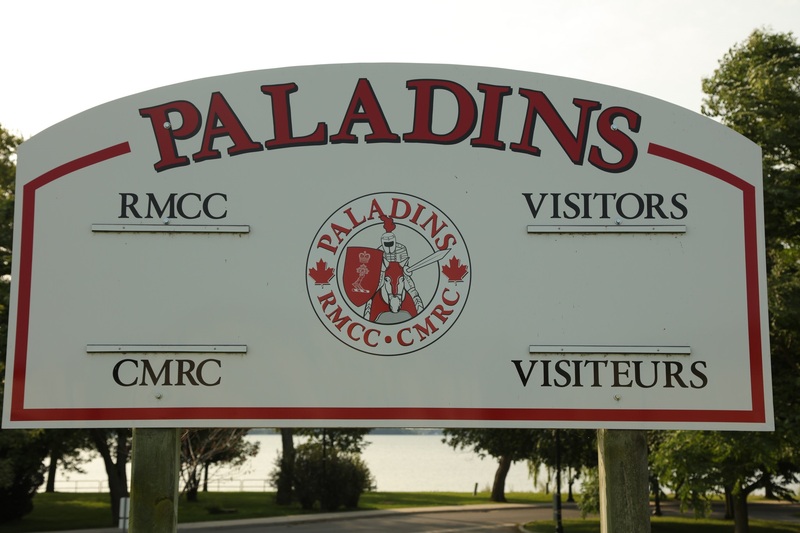 The ex-cadet with the lowest number was 7246 Paul Goineau, an Old Brigade member who was the Cadet Wing Commander in 1967. The highest number was 28115 O/Cdt Logan Roots, who is in his second year at the College. Afterwards, the group repaired to the Cadet Mess in Yeo Hall for a cool drink and a chance to compare notes on RMC over the years. It was a great way to celebrate the RMC experience. Three cadets had the opportunity to travel in Acireale, Italy from September 12 to 18th. OCdt Garrett Whelan (II) , OCdt Marc-Alexandre Pageau (III) and NCdt Madison Van Camp (IV) competed in men’s sabre and women’s épée, respectively. The competition started off with opening ceremonies in the town square that featured 19 different countries marching with their flag. 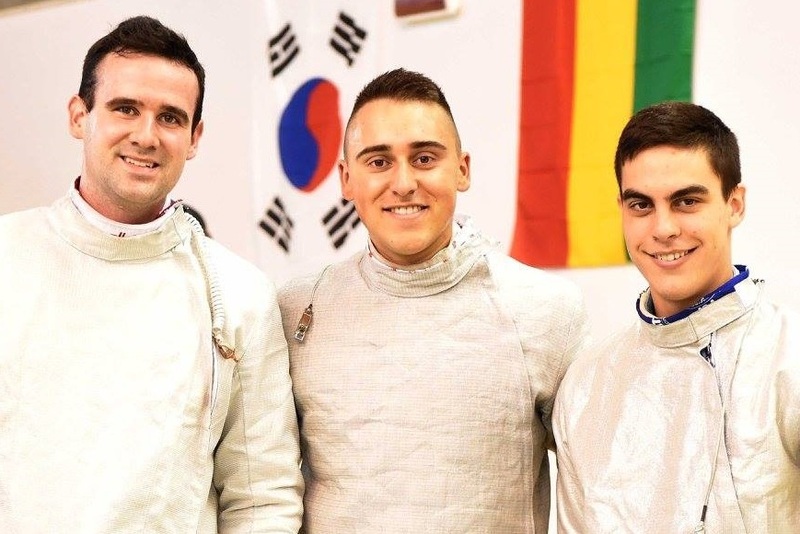 The next day, all three fencers competed against some of the best in the world. Whelan finished 24th with Pageau finishing behind him at 25th. Van Camp finished 28th overall. 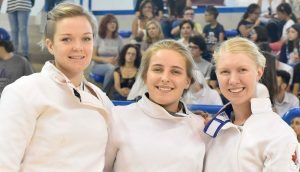 The next day the individual competition continued with men’s épée, men’s foil, and women’s sabre. Several ex-cadets were also competing alongside the cadets. After the end of the individual competition the team competition began. 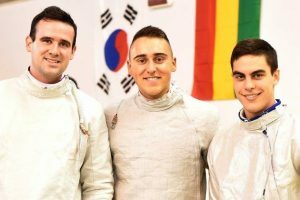 The men’s sabre team lost a good fight against Russia in the first round of elimination. Whelan and Pageau were joined by Corporal Jesse Berube to form a team. Van Camp fencing with Leading Seaman Katherine Porter and Lieutenant Deanna Gilmore, an ex-cadet. 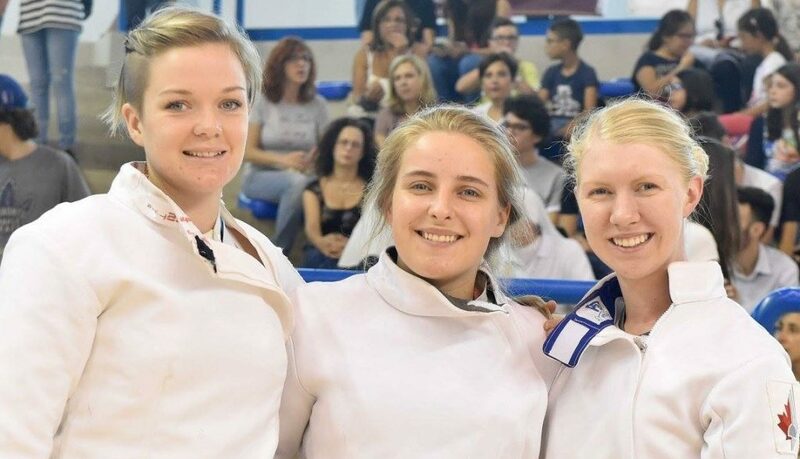 Women’s épée fenced against a combined team from Denmark, Latvia, and Austria. The team lost in the first round of elimination. Overall, the competition was an excellent learning experience for the cadets and all that were involved. The goal of these types of competition is create friendship through spor and use those relationships through out our careers. 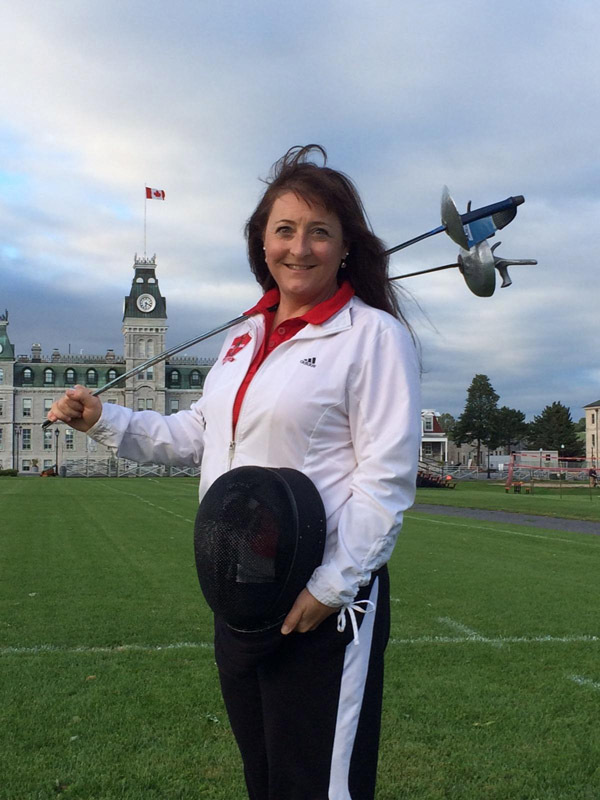 Many thanks to everyone we met and our coach, Maître Patricia Howes for getting us there.